Improving local SEO can be a daunting task, we’ve all been there. Reading through endless amounts of online guides and lists of local search SEO tips, it’s probably why you’re reading this right now. Hopefully we can help with some good tips to get you started so you can leverage local search in your content strategy. If you’re new to SEO, then the following 3 tips will give you a great starting point, to hopefully help you and your business rank and then convert to sales. 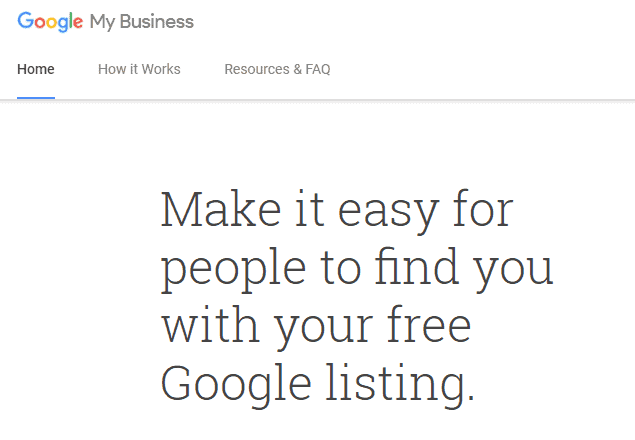 First and foremost, start with the easy bits; Facebook, Google My Business and Bing Places for Business. These are especially effective for a new business with limited budget as they’re completely free! Set up an account with each of them and make sure you fill out your details in full. GMB prefers you include a phone number with the local area code, but it’s most important that your details are consistent across these profiles. Make sure you include amazing images of your products, services, logo etc. Secondly, if you have a lot of previous customers, have you asked them for an online review? The amount of online reviews you have can have a huge impact on local search results. It could be a great idea to offer an incentive to your customers to review your business, or just ask the question, I’d be surprised if they said no – especially if you did a good job for them. And thirdly, the last part of our local search SEO tips, is to target local business directories. These can be related to your business niche or standard business listings. The more of these you can get, the more references to your business details and the occasional relevant back link, most links from directories are no follow. Once you’ve done this you should receive a small boost to the trust of your website and over time, this can really help your website start to rank. It’s a better idea to focus on directories and niche directories than hundreds of non relevant paid spammy back links – just don’t do this, anyone offering this mass link building services will likely damage your reputation and search engine ranking. If you acquire too many at one time, your position in search can suffer as search engines can interpret them as spam links. In general, I’d aim for no more than 100 of these just to get started as they take time to propagate. If you’d like to find out how optimised your website is for SEO, please take a look at our SEO Service, which includes a complimentary website audit to get you started or read local search engine optimisation to explore beyond these local search SEO tips.